If your Samsung Galaxy Note 10.1 N8000 tablet's front camera is malfunctioning, it can be annoying and challenging to take selfies or make video chats. Don't prolong your suffering any longer! 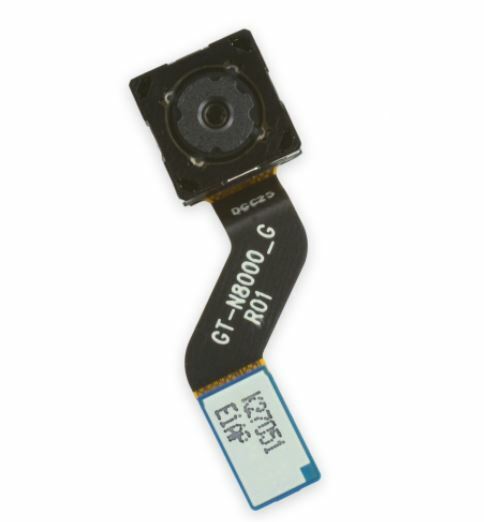 Choose this Samsung Galaxy Note 10.1 N8000 Tablet Front Camera Flex Cable as a replacement to your faulty front camera. The design and dimensions are for Samsung Galaxy Note 10.1 N8000, ensuring a 100% fit and compatibility.